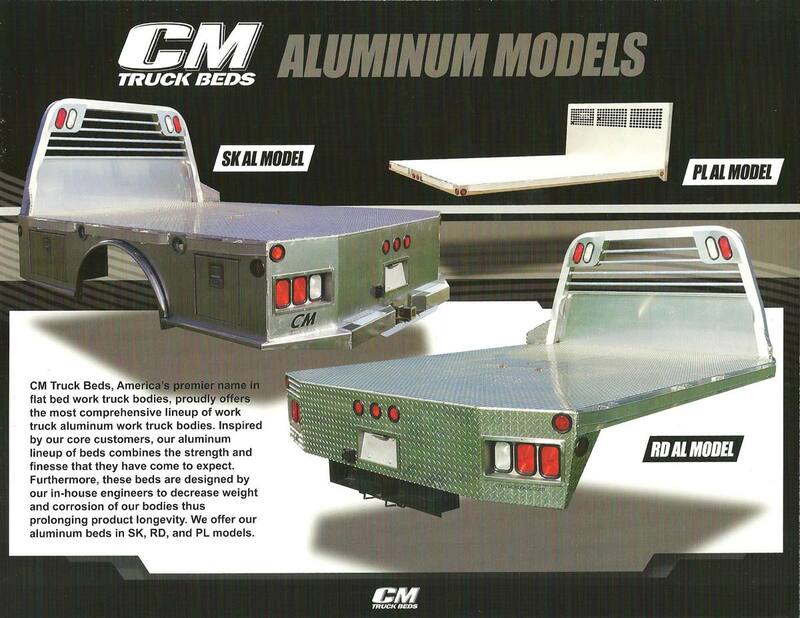 CM Truck Beds, Americas premier name in flatbed work truck bodies, proudly offers the most comprehensive lineup of work truck aluminum work truck bodies. Inspired by our core customers, our aluminum lineup of beds combines the strength and finesse that they have come to expect. Furthermore, these beds are designed by our in-house engineers to decrease weight and corrosion of our bodies thus prolonging product longevity. We offer our aluminum beds in SK, RD, and PL models.